There have been a flood of bands hitting the surface from California in the last couple years, and one of our favorites is Royal Baths [We talked about them forever ago when they were just known as “Baths”, but they’ve had a name change since then] Their debut full length, Litanies, came out last year and was one of our favorites — it spent a majority of the Winter on the tables. You can still snag it from the boys at Woodsist, if you’ve been sleeping on it. 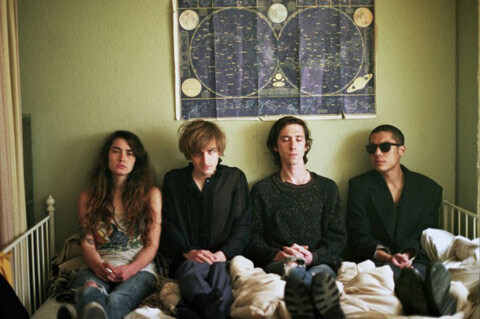 They’ve yet to release anything since, but word on the street is that they’ve got a new 2×7″ coming soon from HoZac that’s a split with Mr. Ty Segall. Stoked? Duh. 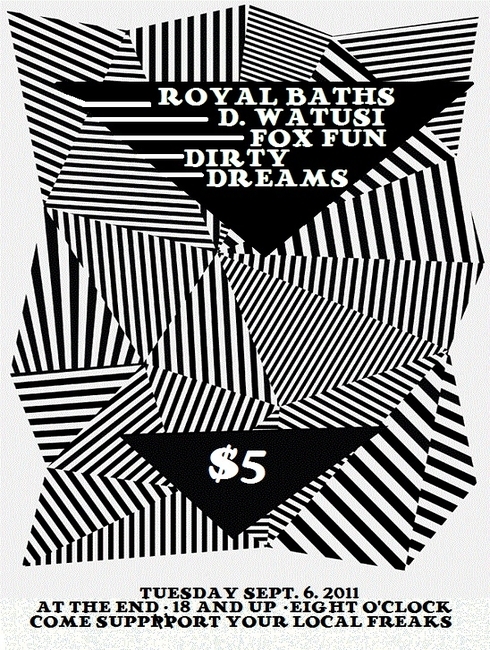 Check them out tomorrow night at The End alongside D. Watusi, Dirty Dreams, and Fox Fun. Shake off your labor day.